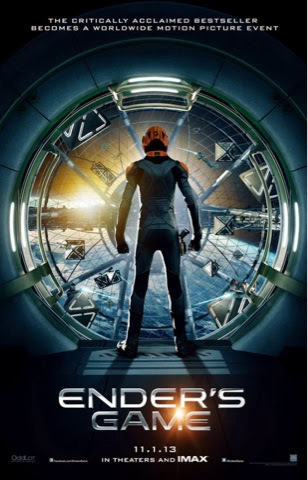 GenreOnline.net: Quick Thoughts On Ender's Game. I have never read the book, but I saw Ender's Game today and I think it was terrific if you are a science fiction fan. The film should not be dismissed as some kind of Twilight in space sort of thing. The film is an examination of human behavior and how far those in authority will go in manipulating others if they feel the ends justify the means. The effects are top shelf. Harrison Ford delivers an understated but gruff performance while Ben Kingsley will probably never fully shed his Oscar winning role as Gandhi image because in the first scene he appears in I believe he is seated in the lotus position. This is not Starship Troopers though both films have similar statements all be it through different methods.